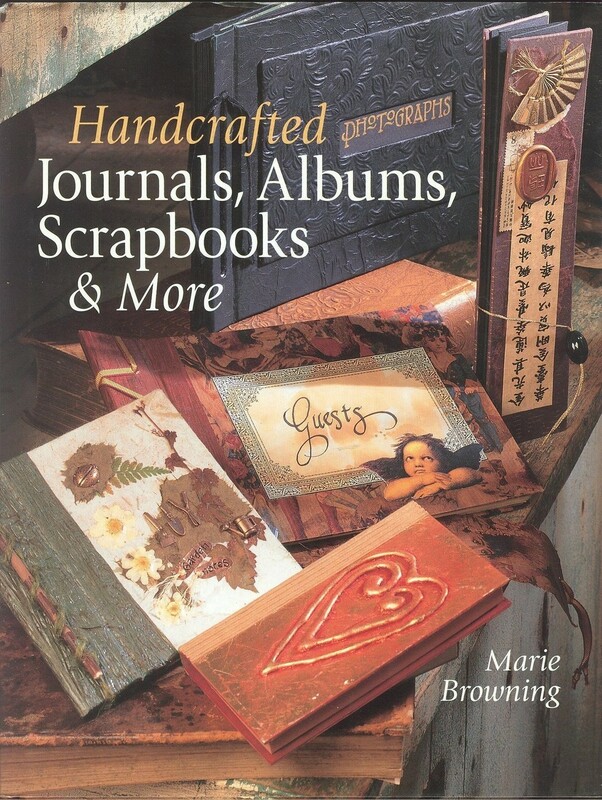 Handcrafted Journals, Albums, Scrapbooks and More by Marie Browning (1999, Hardcover) Dustjacket. ISBN-10: 0806939354 ISBN-13: 9780806939353; Synopsis "Browning...has an artistic touch that sets her book apart....Her projects make good use of handmade paper, natural objects, and currently popular decorative techniques such as thermal embossing. Step-by-step instructions are given for making bindings and lacing entirely from scratch....Excellent addition to public library collections." Library Journal. Product Identifiers ISBN-10 0806939354 ISBN-13 9780806939353 Key Details Author Marie Browning Number Of Pages 128 pages Publication Date 1999-12-31 Language English Publisher Sterling Publishing Co., Inc. Additional Details Copyright Date 1999 Illustrated Yes Dimensions Weight 26.5 Oz Height 0.6 In. Width 8.5 In. Length 11 In. Target Audience Group Trade Classification Method LCCN 99-020751 LC Classification Number Z266.B69 1999 Dewey Decimal 686.3 Dewey Edition 21 LIST PRICE: 27.95 Dustjacket has a closed tear on upper spine corner. Powered by Turbo Lister The free listing tool. List your items fast and easy and manage your active items.